When Sony releases a new firmware, its one of 2 things...apply new security patches or new features are added. With Sony's new 3.60 firmware, it's both. One of the new features is the option for Playstation Plus members to store their save game files on Sony's cloud based online storage system. Of course, if you wish to retain your jailbroken console or you plan on or currently have installed a CFW, DO NOT install the new OFW. It will overwrite your firmware and block the use of homebrew. Hey everyone – We’ve got an exciting new feature coming exclusively to PlayStation Plus subscribers. Included in the system software update (v3.60) coming tomorrow to PS3, PlayStation Network’s new online storage for game saves feature gives PlayStation Plus subscribers the capability to back up game save data to the cloud. Online storage for game saves is a great way for PlayStation Plus subscribers to ensure that their data files are secure and also for users who wish to access their files from other PS3 systems. The new online storage feature allows gamers to store up to 150MB of game save data and a maximum of 1000 data files per PSN account. Users also have the ability to back-up “copy-prohibited save data,” and all previously saved data may be restored once per 24 hour period. When the new feature launches, most PS3 titles will be compatible with online storage for game saves, and moving forward, all new titles will have the capability to offer the storage option. As I mentioned before, online storage for game saves functionality is included automatically for PlayStation Plus subscribers with system software update (v3.60), which will be available on March 10, 2011, and users can access their stored data on the XMB at any time. Additionally, users who save their files to the cloud can access their data on any PS3, using their PSN sign-in ID. PlayStation Plus subscribers should turn on the auto-download feature to ensure that the update will begin downloading as soon as it’s available, so you can start backing up your game saves right away. If you aren’t already a PlayStation Plus subscriber, be sure to check out our bi-weekly post highlighting the free games, discounts and exciting exclusives we offer, in addition to the upcoming online storage for game saves feature. Other minor features will also be added via system software update (v3.60). For more information please visit http://us.playstation.com/support/systemupdates/ps3/ once the update is live. KaKaRoToKS has confirmed via Twitter: "Wow, in 3.60, Sony removed all the loaders, no more isoldr/lv1ldr/lv2ldr/appldr.. but they added lv0.2! 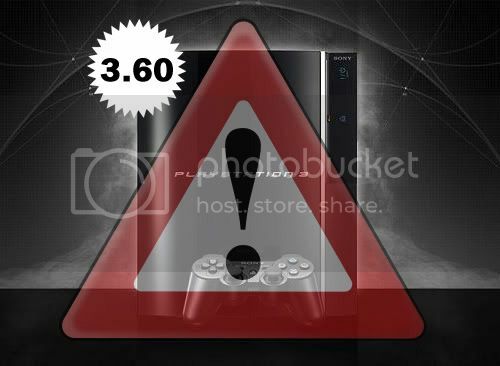 Seems they found a way to secure ps3"